Will You Still Be In Your Job Next Year? It can happen gradually, like falling asleep while driving. You may not even notice that your performance at work has been slowly shifting because you are still the person your company hired. You're the bright, personable employee who was stirring things up when you came on board. YOU haven't changed, but that's the problem. Everything else has. Changing careers while youre fully employed at a fast-moving company can be equally hazardous to your health. You have responsibilities at home and at work. There are many reasons why you cant find time to think about career next steps today. But you deserve better. While you are employed is the best time to evaluate alternatives. The right answers dont emerge overnight, so why procrastinate? This must be done in stages, however, as if you were changing clothes while driving. You have an employer that needs to be treated fairly, a current job to do and a reputation to be maintained. Take this one step at a time. Do you see any of these things happening in your career? Do you know why your company values you? How have you grown recently? Do you have the current vocabulary to translate your outcomes to your audience? This doesn't mean bragging; it means getting results. When I ask highly talented professionals to identify their strengths, they often struggle to list only four or five points. They've lost touch with their unique personal value. If you can't identify your strengths, how can you communicate them to others? You've mastered your current job and people trust you, so you keep doing what you've learned to do. Because you are comfortable, you never think, "Will I have this job next year?" Or "What can I do to improve?" You no longer push the envelope. You stop learning new skills to do your job better, like you did when you were first hired. You are in a long-term relationship and you start taking it for granted. As you become engrossed in a new job and build professional and personal relationships with fellow employees, your relationships with people outside your job may diminish. You may not notice because you're still active, but you're increasing your risk. The more you feel secure at a company, the more you neglect your connections with the outside world-you're cutting off your access to other companies, external information, fresh ideas, and your competitive edge. The confidence you project determines your ability to build trust with others. A lack of confidence may seep through in your tone and your choice of words such as "Thank you so much for taking my call. I know how busy you are, and I'm grateful for your time." Hey, you're busy too! They're lucky to hear from you! A lack of confidence can also be communicated by body language. Your shoulders might not be square, your handshake may not be firm, and you may talk a lot about yourself instead of drawing out your audience. Note to self: a confident person is more interested in others than in selling themselves. Here are three ways to start capturing your value, strengths, and skills. Start with your professional attributes, then add personal ones. Go for volume first; refine later. Your goal is to list your top 5-7 strengths, a concise way to communicate them, and an alternate way of describing them for listeners who may need to hear things from a different angle. Jot down your skills, strengths, and assets. Keep adding to the list as you think of them. Synonyms count. Give yourself a reward if you list more than 20 skills. Examples: in-depth expertise in your discipline, building strong teams, meeting deadlines consistently, developing products that sell well. Ask people who will be honest with you about their perceptions of your talents. Tell them ahead of time that you're doing some research and will be happy to return the favor. They may come up with more thoughtful responses and introduce ideas that you never would have thought of on your own. Use the Problem-Action-Results (PAR) format. A PAR story distinctly describes an accomplishment you're proud of, to discuss your competence without bragging. You're just telling a story. Here's how to put together your own PAR story. What additional strengths skills and assets can this story demonstrate? You can use them in multiple situations. People love hearing stories, so use them to your advantage. Want to be in your same job next year? You now know the rules of the road to grow in your same job, or in your next one. 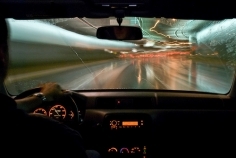 Staying energized and outward-focused while at the wheel works better than caffeine.